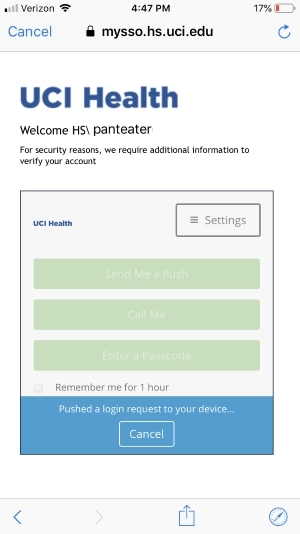 The following are client configurations for accessing the UCI Health email service. These instructions are meant to provide basic client setup configurations for a variety of email clients. 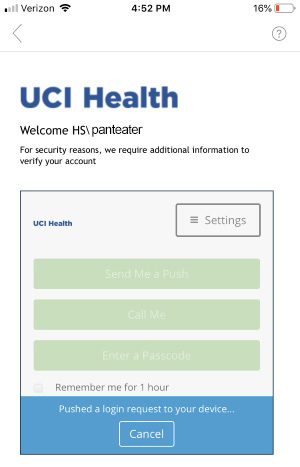 In some cases UCI Health Information Services may not formally be able to provide support for every email client available today. We can provide basic setup instructions and in some cases recommend alternative clients if we feel there is an improved user experience available. Below we list several email clients that are commonly used by our clients. 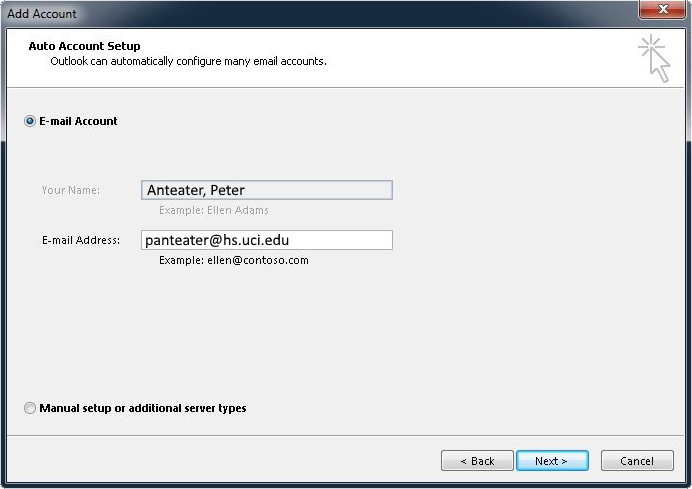 Outlook Web Access (OWA) is the standard method of accessing e-mail on and off campus. If you are experiencing email client issues, please use OWA to access your email. 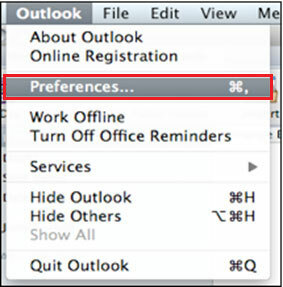 The newer email interface for OWA is full featured with most options that Outlook offers via the local client. It can be accessed by a web browser on a computer and mobile device. 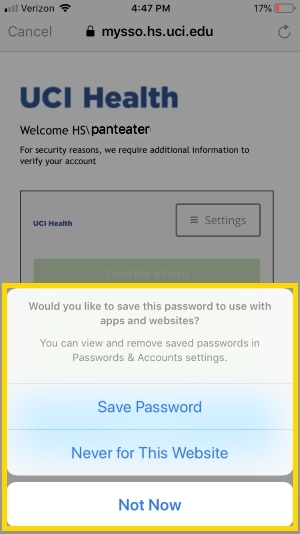 It is accessed by navigating to https://myemail.hs.uci.edu/owa. 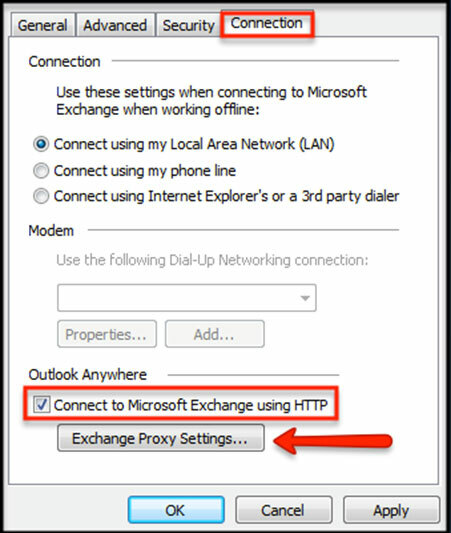 The following steps below will allow Outlook 2010 and Outlook 2007 to install using the Exchange server information. Open Outlook 2010 or 2007 by clicking the Start button, navigate to All Programs, click on Microsoft Office, then click on Microsoft Outlook 2010 or Microsoft Outlook 2007. 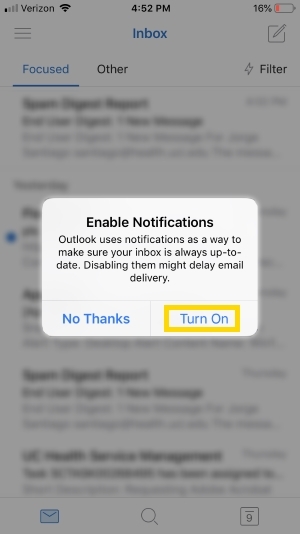 On the Outlook Startup screen press Next. 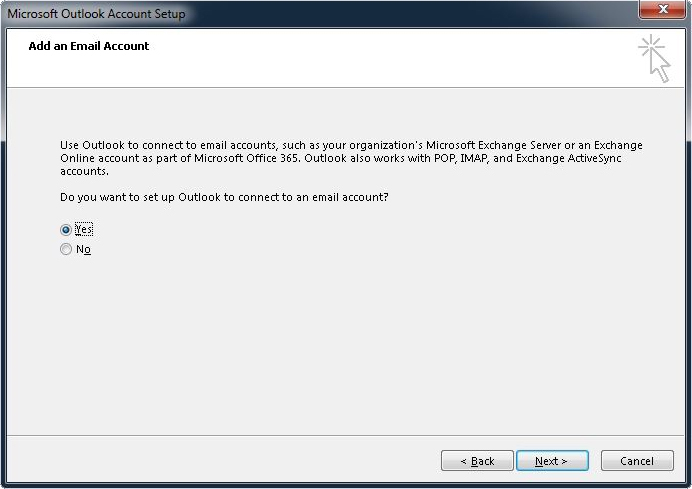 On the Account Configuration screen, select Yes and press Next. 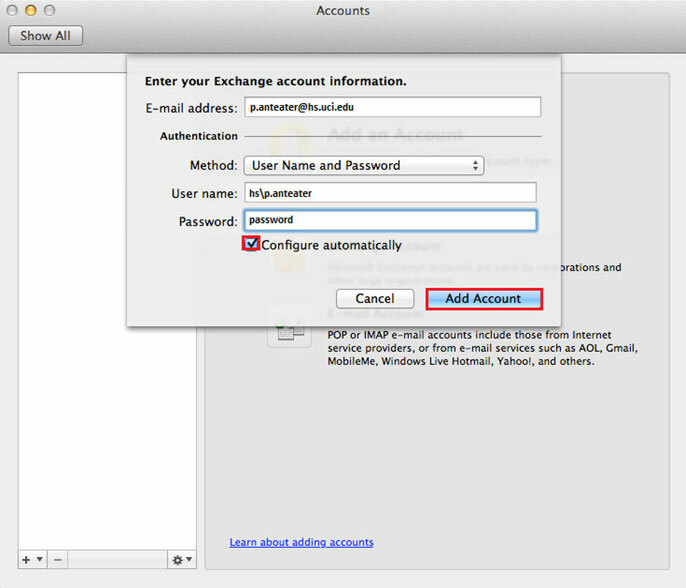 On the Auto Account Setup screen, verify your name and email address are correct, the press Next. When the configuration finishes press Finish. 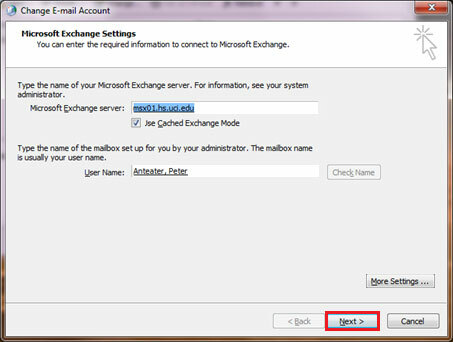 Outlook will now load from the Exchange server. 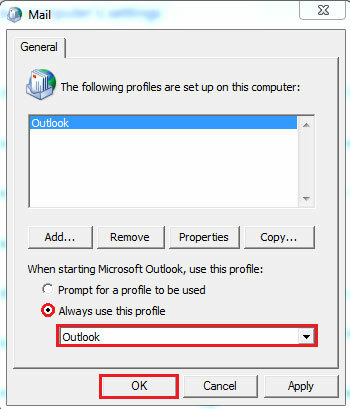 The following steps below will allow the manual configuration of Outlook 2010 or Outlook 2007 First thing you'll want to do is click the Windows Start button, select Control Panel, and then select the Mail icon. 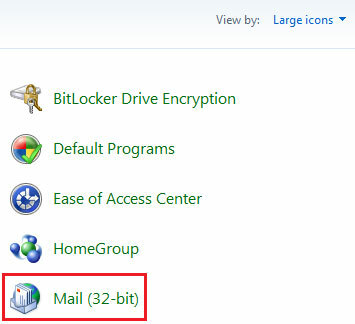 Note: Depending on what version of Windows you're running, you may need to switch to Classic View or Change "View By:" to "Large/Small Icons" to find the Mail icon or it may state 32-Bit. Select the Show Profiles button, click the Add button and enter in a name for this profile and select the OK button. 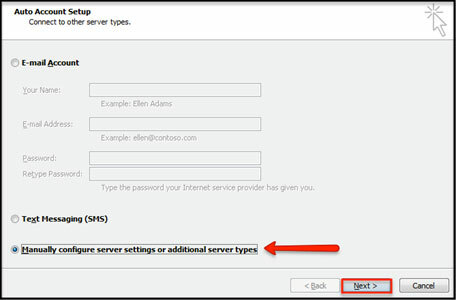 Select the Manually configure server settings or additional server types check box, click the Next button. 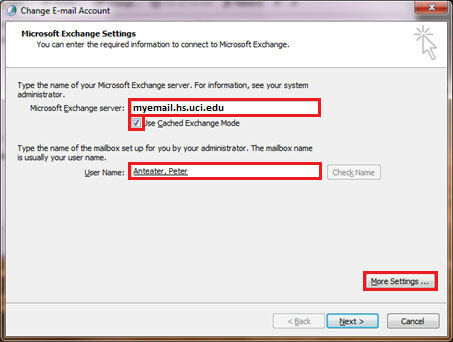 Simply enter in "myemail.hs.uci.edu" in the Exchange server address field and then select the Use Cached Exchange Mode check box. In the User Name box, enter in your username and the select "More Settings." 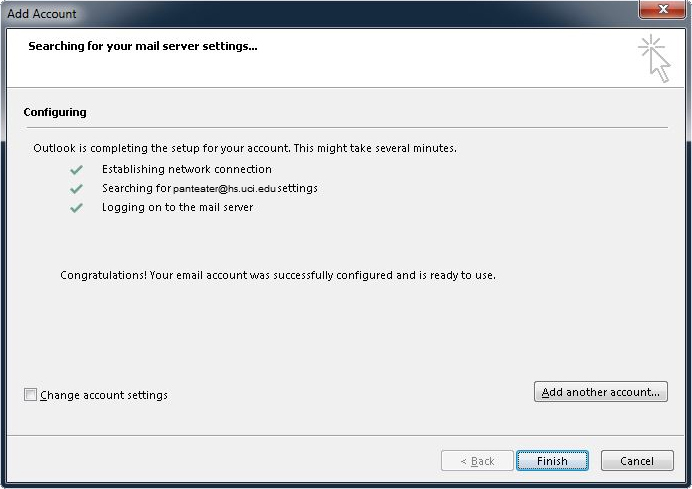 You may be prompted to login so the system identifies your mailbox server. 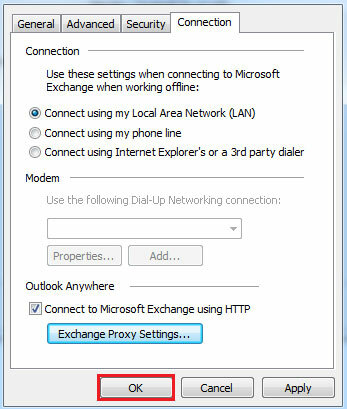 Next, select the Connection tab, select the Connect to Microsoft Exchange using HTTP check box and then Select the Exchange Proxy Settings button. 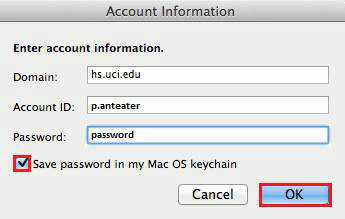 Next, enter in "myemail.hs.uci.edu" in the Proxy Server address. 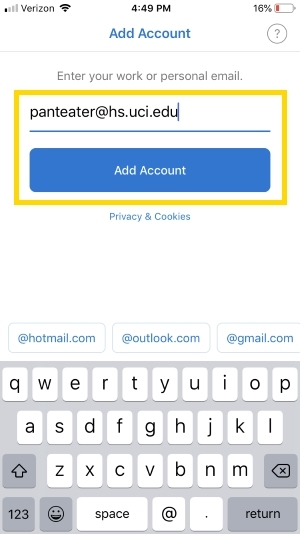 Select both the On fast networks and On slow networks check boxes and under Proxy authentication settings, select Basic Authentication, then click OK.
Press Next on the email configuration screen, you may need to authenticate with your username and password. The account is setup, press the Finish button. Make sure the new profile is selected in the dropdown box and Always use this profile is selected. 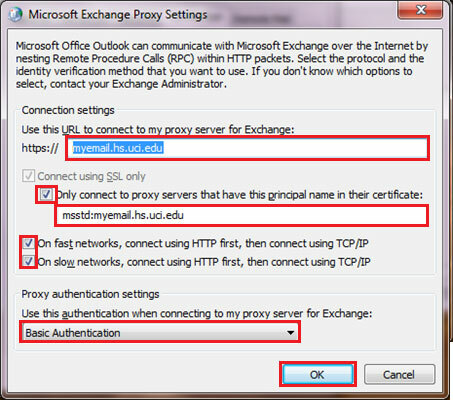 Press OK.
Open Outlook, you may be prompted for your username and password. 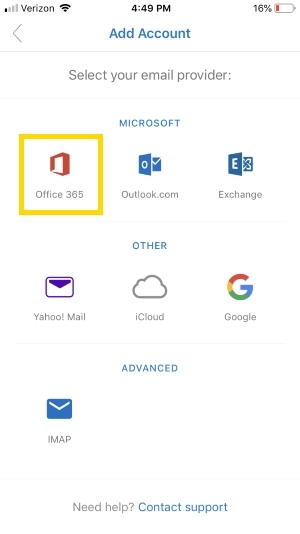 Your outlook profile will populate your mailbox, calendar, contacts, and tasks off the exchange server. 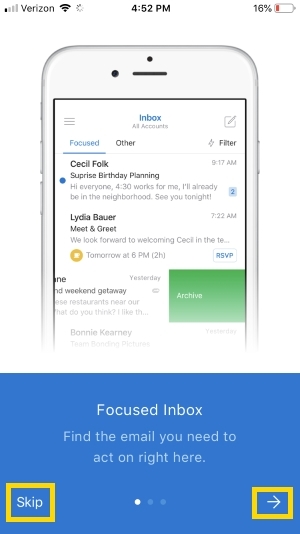 Outlook is a Microsoft Office email client for the Mac. 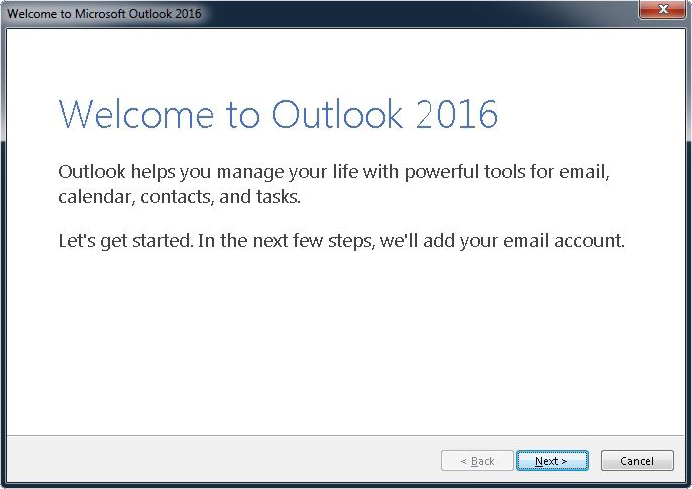 Outlook 2016 is part of the Microsoft Office for Mac 2016 suite. 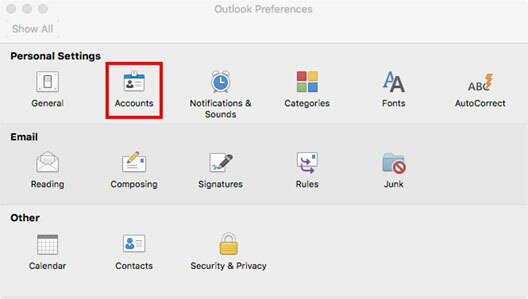 Outlook 2011 is part of the Microsoft Office for Mac 2011 suite. Open Outlook. 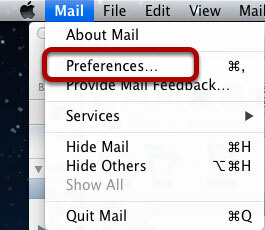 From the Outlook drop-down menu in the top bar, select Preferences. 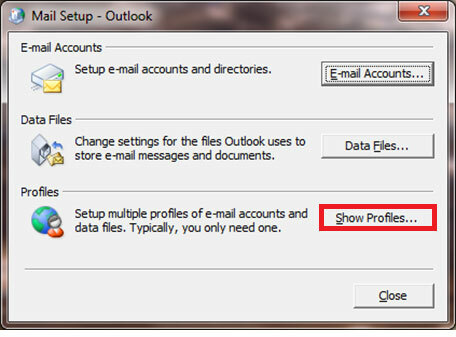 On the Outlook Preferences menu, under the Personal Settings header, click Accounts. 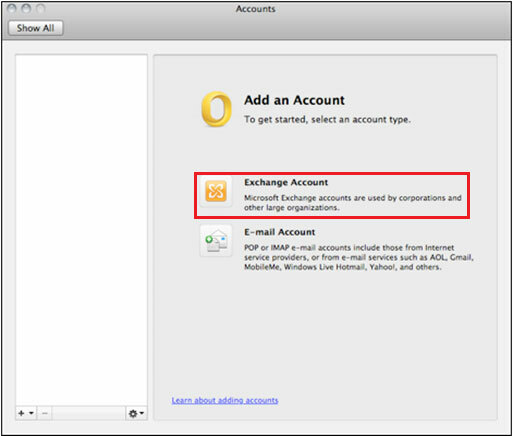 On the Accounts screen, select Exchange Account. Click Add Account, and confirm that Amber dot next to the account name turns from an amber color to a solid green (this may take a moment). Close all windows and you're done! Entourage is a Microsoft Office for Mac email client. Entourage 2008 is part of the Microsoft Office for Mac 2008 suite. Note: In order to run Entourage 2008 with the Exchange server, it will need to be updated to Office 2008 for Mac version 12.3.3 and will also require the Web Services Edition update. Below are links to the required files. 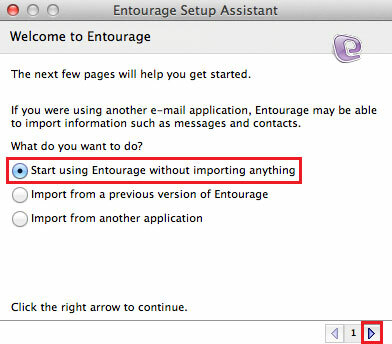 Open the Entourage application, the Entourage Setup Assistant will start up. 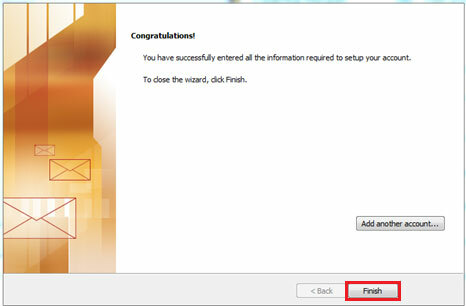 Select Start using Entourage without importing anything then press the forward arrow button. 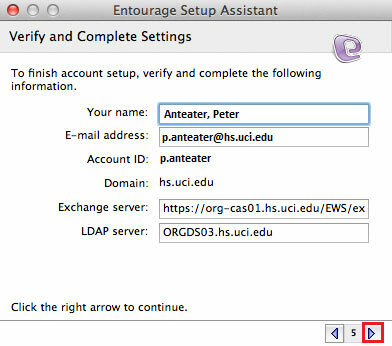 If the Entourage Setup Assistant does not start up, click Tools then select Accounts. 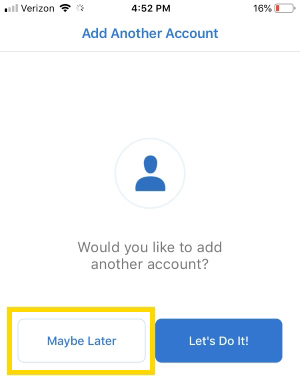 Click on the New button and you will be presented with the Account Setup Assistant. The Account Setup Assistant and Entourage Setup Assistant work the same way; Please follow the steps below. 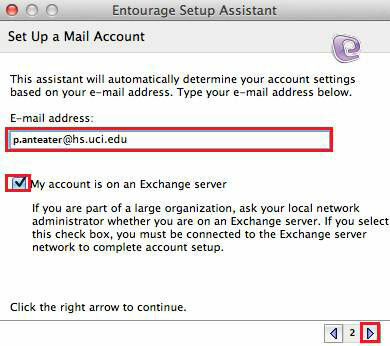 Enter your email address (username@hs.uci.edu) and select the My account is on an Exchange server option, then press the forward arrow button. 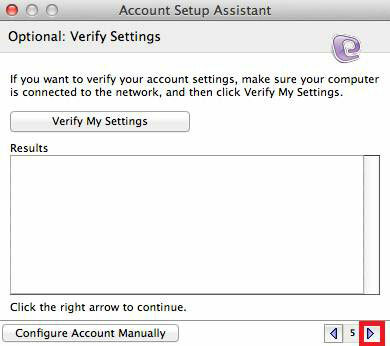 Verify your settings in the Entourage Setup Assistant then press the forward arrow button. Optional: Verify Settings allows you to verify your account, press the forward arrow button to continue. 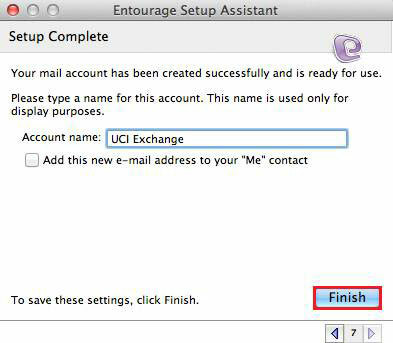 Name the Account Name something familiar, example: "UCI Exchange". Press the Finish button and Entourage 2008 will load your Exchange account email. 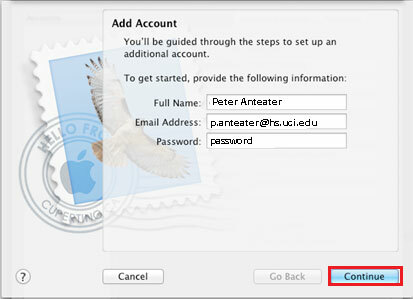 The Mac Mail that is included in Lion supports auto-configuration of your email account. This would be the preferred method of configuring email in Mac Mail. Your Email will automatically configure. Select if you would like to also include your Contacts and/or your Calendars. 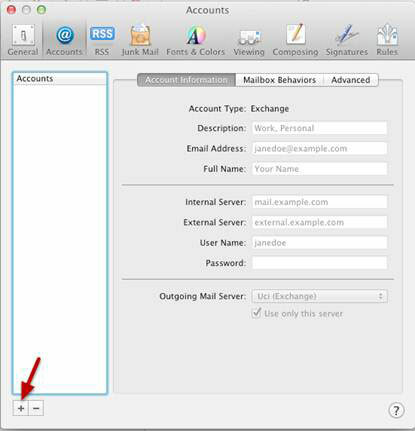 Click Create, your mail will load with your Exchange account mail, contacts, and/or calendars. 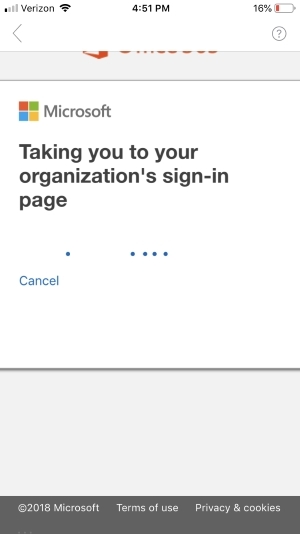 By selecting the Log on using Secure Password Authentication on the Incoming Mail Server section of the Server Information tab, you are configuring Windows Mail to use TLS. Check "Use Only This Server"
Attachments. By default Thunderbird sends and receives attachments in chunks. This may cause some of the following problems for connect account users. Attachments on received emails are corrupted. Outlook users are unable to open attachments sent from Thunderbird users. To avoid potential problems you should modify a Preference Value. Warning: This may result in tags disappearing. If you use Thunderbird's tagging feature you should backup your profile before doing the following steps. For older versions: Edit menu > Preferences > Advanced tab > click Config Editor. For version 3.1.9: Tools menu > Options > General tab > click Config Editor.
! Warning notice will appear. Click I'll be careful, I promise. Preference Name mail.server.default.fetch.by.chunks is set to the default Value of True. Double-click on the Preference Name to change the Value to False. Close the Config Editor window. To replace the Trash folder with the Deleted Items folder from Exchange please see the instructions at Mozillazine.org. Mobile smart phones have become a common tool in our industry for email communications. If an email message received on your smart phone includes protected health or other confidential information this can pose a risk of unauthorized access if the device is lost or stolen. These phones often store email messages that can be easily retrieved from the device. The following are some fundamental smart phone practices that will help protect confidential information on the device from unauthorized access. 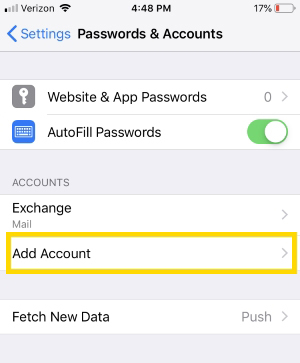 You must enable PIN/password protection on your phone. The more complex the PIN/password, the better. HIS can help with this, contact us at 714-456-3333. 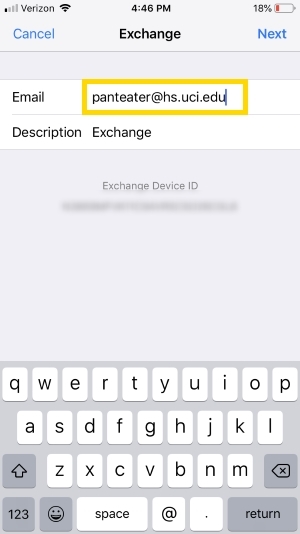 (Note: Devices using the HIS Exchange system already have this PIN policy applied). Enable the device encryption setting, if available. HIS can help with this, contact us at 714-456-3333. Do not store restricted information on the phone’s memory card (SD card) or any external storage that has NOT been encrypted. Turn off Bluetooth, Wi-Fi, NFC, and GPS when not specifically in use. IMPORTANT: In the event the phone becomes lost or stolen, immediately contact the HIS Security Team via 714-456-3333 and request a remote wipe of the phone. Wait to discontinue the service for the phone until after the remote wipe is accomplished. If you discontinue the service on the phone, remote wipe will no longer be available. 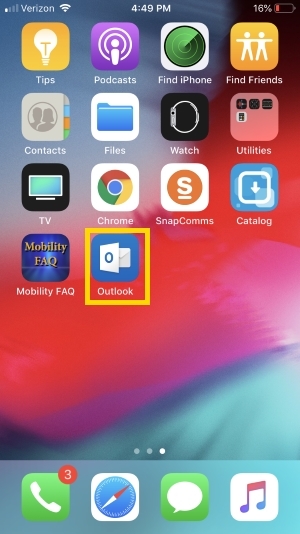 Follow these steps to set up O365 Mail on iOS devices running iOS 11 and up. 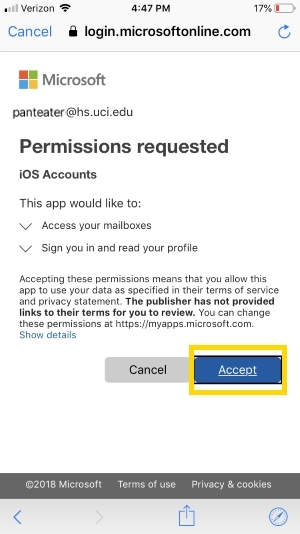 Follow these steps to set up O365 Mail on the Outlook App. These steps will work with both Android and iOS devices. 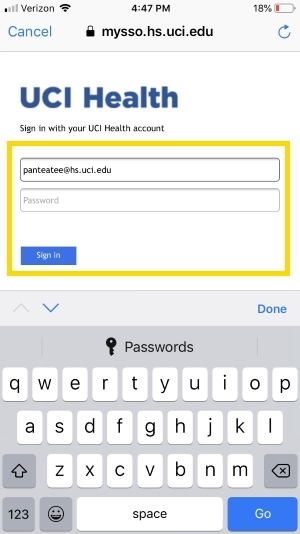 Follow these steps to set up your BlackBerry device to access your UCI Medical Center Exchange e-mail account. 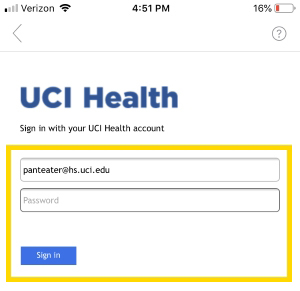 NOTE: A separate account/password will need to be created for you on the UCIMC BlackBerry Enterprise Server before you can complete the following steps. Please contact the Service Desk at 714-456-3333 if you haven't already done so. 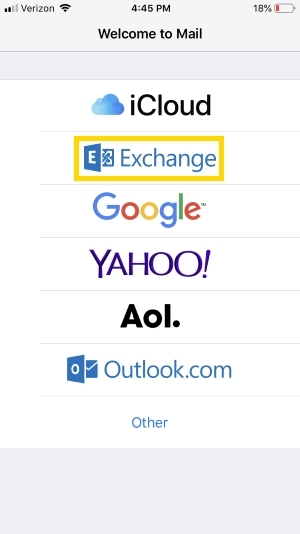 Microsoft Exchange ActiveSync allows phones of various brands to synchronize with an Exchange mailbox; below is a list of supported brands (source: http://technet.microsoft.com/en-us/library/bb232162.aspx). 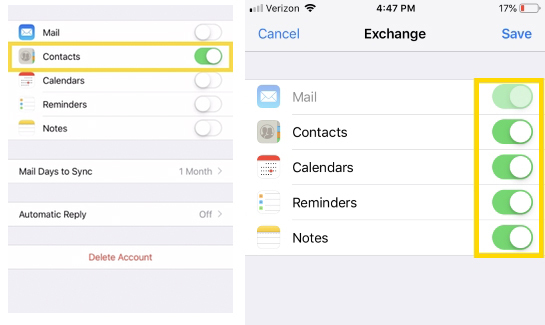 Apple: The Apple iPhone, iPod Touch, and iPad all support Exchange ActiveSync. Nokia: Nokia offers Mail for Exchange on their Eseries mobile phones. E-mail, calendar, and contact data can be synchronized over a cellular network or a wireless LAN. Sony Ericsson:Sony Ericsson offers Exchange ActiveSync support on several of their newer smartphones. They also support Direct Push through a third-party program. Palm: Palm offers some models of mobile phones that have the Windows Mobile operating system. These devices support Direct Push. Motorola: Motorola has its own synchronization framework that enables over-the-air synchronization through Exchange ActiveSync on many of its devices. Symbian: Symbian Limited licenses Exchange ActiveSync for use in the Symbian operating system. This operating system is an open standard operating system for mobile phones. *Android: Many mobile phones with the Android operating system support Exchange ActiveSync. However, these mobile phones may not support all available Exchange ActiveSync mailbox policies. 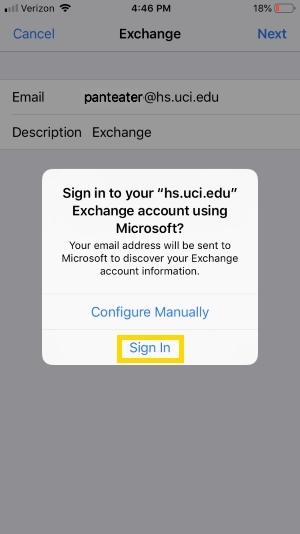 For more information see Understanding Exchange ActiveSync Mailbox Policies. 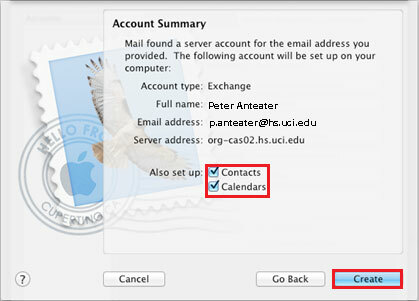 Once the settings are entered, you may set/decide whether you want to sync Mail, Contacts, and/or Calendar. 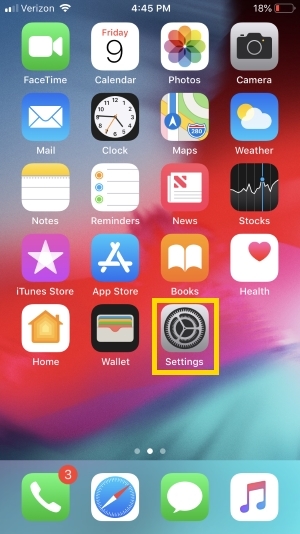 You may also configure settings on how to actively push folders other than the inbox (default) and how many days' worth of mail to sync on the device. NOTE: there is no need for alarm when the message 'Activate device administrator' is displayed. Simply continue with the process. *Android: There is a known issue with Android devices using ActiveSync connections to Exchange. The issue is with OS version 2.2 on the device. The work-around is to run a different version of the Android OS (it is unclear if the issue is fixed with versions 2.3 or later) or install a third-party ActiveSync application on the device. Although IST does not provide support for it, some users have reported that "TouchDown" by NitroDesk improves the stability and functionality of the ActiveSync software on devices running the Android OS. 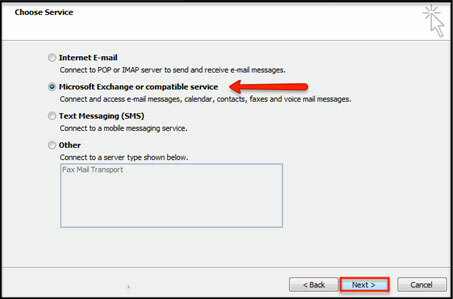 Internet Message Access Protocol (IMAP) allows an email client to connect to the email server and provide emails. The setup is more advanced than ActiveSync.